Whilst attention has been focussed, not unnaturally, on the now imminent reopening of the East London Railway, it is not the only completely rebuilt railway show in town. The Docklands Light Railway (DLR) extension from Canning Town to Stratford International is progressing well and is set to open this summer. 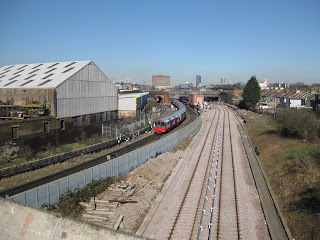 The six kilometre extension runs parallel to the eastern end of the Jubilee line’s route and is built on the trackbed of the latter day North London Line to North Woolwich. 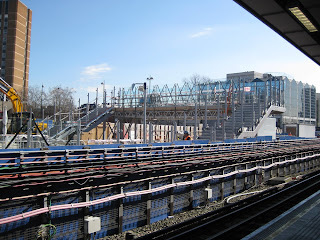 In addition to the existing stations at Canning Town, West Ham and Stratford, four new stations at Star Lane, Abbey Road, Stratford High Street and Stratford International are being built. 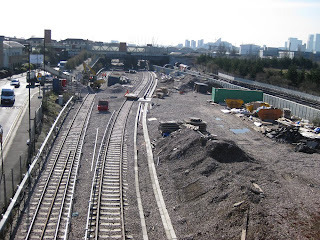 As can been seen from these pictures of West Ham taken from the Greenway (just to the north of the station), the DLR’s track has been laid and final ballasting is taking place. At West Ham work has finished on restoring the platform and attention has shifted to the platform buildings. The third rail has also been installed. The Docklands Light Railway uses a light composite rail, consisting of an aluminium body and a steel running surface. By using bottom rather than the more traditional top contact, the third rail system has improved weather resistance and better track safety. All track works in the Canning Town area have now been completed, enabling the new Stratford International lines to be connected to, and have access to, the DLR network. The signalling installation from West Ham to Canning Town is also complete and is currently being tested by Thales. Structural steel work in the forms of lifts, bridges and platform shelters is appearing at the new station sites. 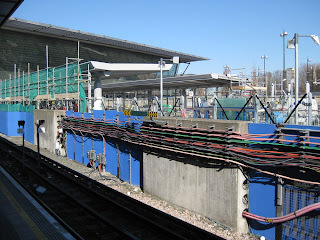 Unfortunately, most of these seem to been shrouded behind health and safety barriers but if any London Reconnections readers overlook the line JB would be happy to receive and publish your photographs. At Stratford the new footbridge and platform shelters are in the course of erection. Station construction should be completed shortly and it is anticipated that train testing will begin in May. 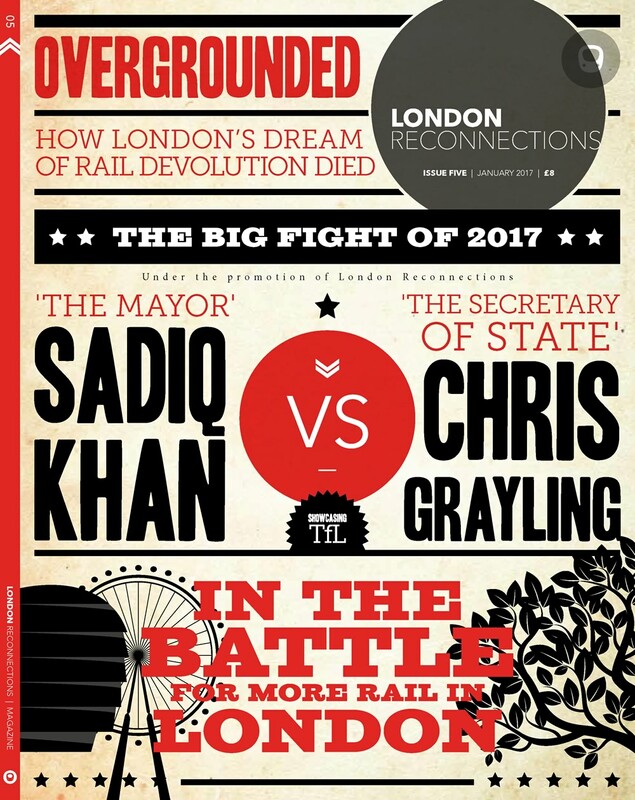 As with most DLR extensions, TfL hope that the extension will drive economic development by providing improved transport capacity, reliability, accessibility and frequency in the local area. The travel demands associated with the opening of the Westfield Stratford City shopping centre, together with the London 2012 Olympic and Paralympic Games, will no doubt spur initial development. Long term, however, it may well be the opening of a new cross river route from Woolwich that becomes of significance. When the line opens, trains will operate at least every 10 minutes running from Stratford International to Woolwich Arsenal and Beckton.